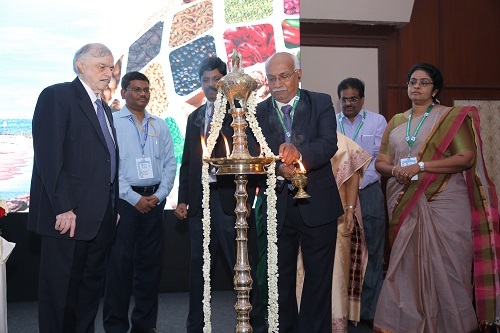 Delegates from over 30 countries are meeting in Thiruvananthapuram (Kerala), India from 21 January 2019 to discuss draft Codex standards for selected spices and herbs that will eliminate trade barriers and strengthen food supply chains with safe food. Shri M. Saravanan IAS from the Ministry of Commerce and Industry told delegates Codex was “one of the most successful examples of reviving multilateralism in the global trading system”. The committee has already developed worldwide standards for black/white/green pepper, cumin and thyme and the meeting will be an opportunity “to address the concerns of developing countries in production and trade of spices and culinary herbs”, said Saravanan. Topics under discussion at the meeting include standards for oregano, basil, ginger, garlic, chilli pepper and paprika, nutmeg, saffron and cloves. The committee was founded in 2013 to develop and expand worldwide standards for spices and culinary herbs. India is the host country and the Spices Board India serves as the Secretariat for organising the sessions of the committee.